Label size Width: 16mm to 90mm. Type of containers: Glass, Plastics, Aluminum etc. Capacity: 40 TO 50 BOTT. / MIN. Usage/Application: LABRLING ON SQUARE,FLAT AND OVAL BOTTLES. 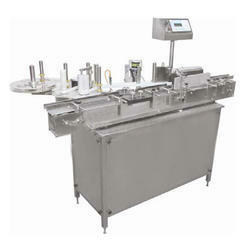 Flat Surface Bottle Sticker Labeling Machine, Capacity: 60 To 160 Bottle Per Min. Capacity: 60 to 160 bottle per min. 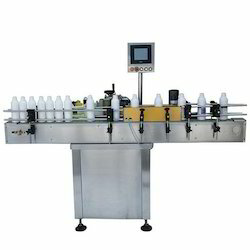 We are the leading manufacturer of Automatic Self Adhesive Bottle Labeling Machine.